This article is Part 3 of 3. Read Part 1 here and Part 2 here. In the two first parts of the article, the study has been introduced that aimed at correlating subjective ratings and objective acceleration results gathered under operational judder. The methodology has been revealed and some initial results presented. This final part will deal with the latest results and the conclusions that articulate the reasons behind the good level of correlation. Correlation is more satisfactory using methods 1 and 2 (R squared is approximately 0.7), and method 4 is significantly bad. The window length that shows better results for the correlation is 0.75s. 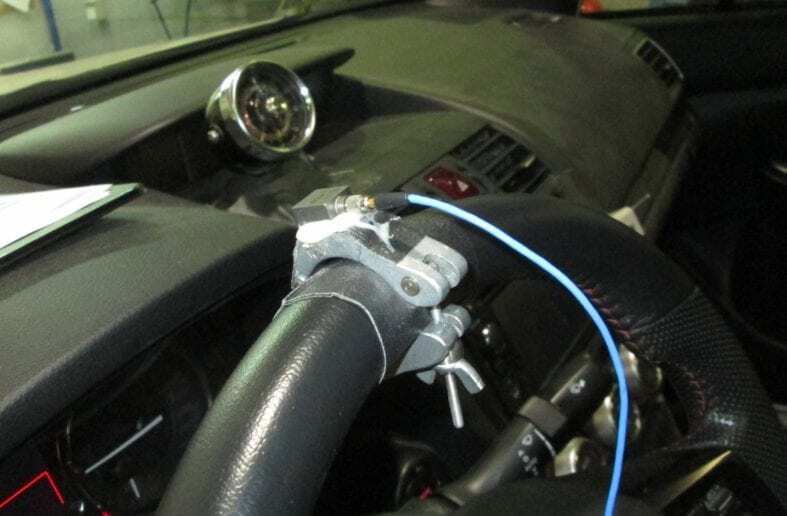 This suggests that the objective results in the tested vehicle can be differentiated into two judder responses at the interface with the driver. The two systems are steering wheel and the combination of body and brake pedal. 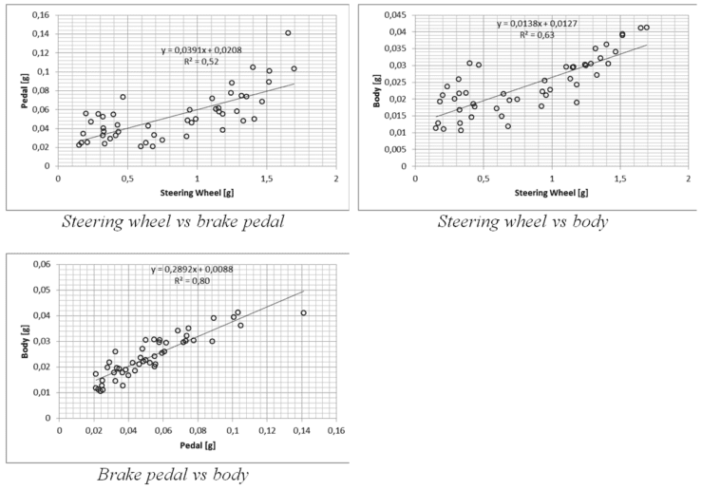 Correlation between subjective and objective results reaches around 70% for the steering wheel and body vibration, and around 60% for the brake pedal vibration. The best methods tested are method 1 (maximum peak) and method 2 (integrated square by unit time). The best window lengths are 0.75s and 1s, which are similar to the time it takes a driver to evaluate judder. One of the reasons for the good correlation is the fact that the range of subjective ratings is high in DTV sensitivity tests. Subjective ratings only have a resolution of about 0.5 and range from 1 to 10. Trying to correlate tests with a limited range of subjective results might give much worse correlations. Another reason for the high correlation values is that the human filters are similar to passband filters centered between 6 Hz and 20 Hz. Those are the usual frequencies of the first and second order rotation of the wheels. The DTV sensitivity analysis test was focused on having first order DTV, which is the main DTV reproduced in real life on the tested vehicle. 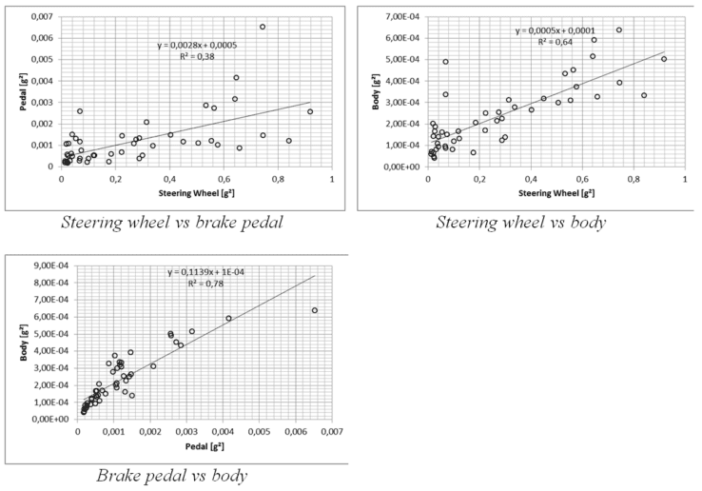 Similar analysis should be performed with a disc with a different dominant order DTV to confirm the methodology. With over 25 years’ experience and 2,450 engineers specializing in vehicle development, Applus IDIADA is a leading engineering company providing design, testing, engineering, and homologation services to the automotive industry worldwide. Editor’s note: Applus IDIADA provides The BRAKE Report with technical content written by the company’s in-house engineers and technical experts.